Celebrate World Tennis Day in Rockingham County with your favorite players on the courts. Some of the biggest stars in tennis are headed back to New York! 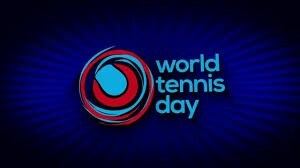 Serena Williams, Caroline Wozniacki, Stan Wawrinka and Gael Monfils Tennis will take the court at Madison Square Garden on March 8 as part of the celebration for World Tennis Day 2016.